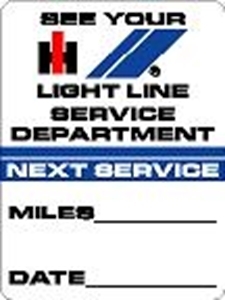 These decals are made to look like the stickers dealers use to remind you of when your next service is due. Great way to remember when that next oil change is due. They are made on printed vinyl. Simply peel-n-stick! This is for 4 decals.